While ILP volunteers in Ukraine love touring around to see places like France, Spain, Ireland, Greece and other favorites, we also love the city of Odessa. It makes for the perfect weekend vacation. Love seeing more of Ukraine? We have this guide all about volunteering in Ukraine that you might be interested in. We'll be getting to the beaches later, but just so you know, there is tons to do in Odessa! Think gorgeous walking streets, monuments to admire, pretty parks plus, the cutest cafes and shops. We love Derybasivska street and Yeketerynenska Street, but are also big fans of the Prymorskyi Boulevard (take out your camera to photograph the pastel buildings and get ready to fall in love.). Utesov was a famous singer and actor in the beginning-middle of 20th century. He was born in Odessa and to honor his life and music, the city created this monument. Take a seat next to Utesov and touch his nose (according to rumors it will bring you good luck). This monument is honoring Ilf and Petrov, authors of the famous book, "The 12th Chair". On the back on the chair, famous quotes from the book are inscribed, along with Ilf and Petrov's well wishes for the city of Odessa. 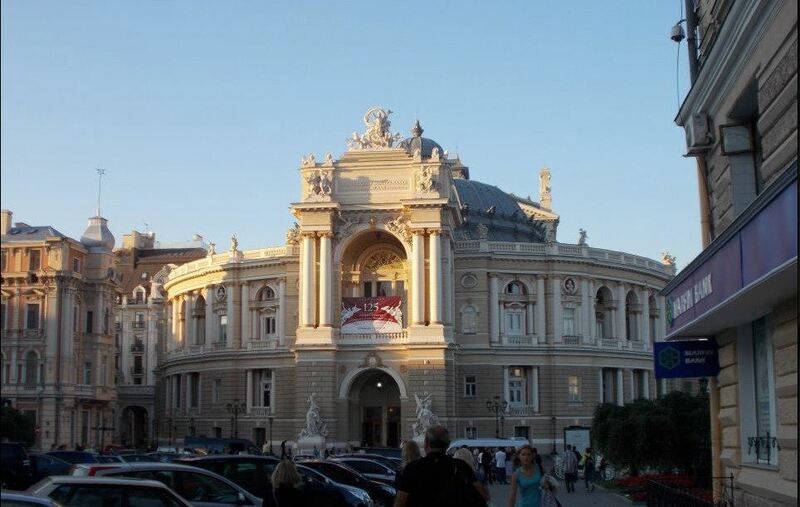 The Odessa opera house is also a can't- miss — it has many different ballets and operas. Check out what's showing when you're in town and dress up for a fun night at the Opera by clicking here. Don't miss out on seeing some of the performing arts in Kiev as well! Sure, the walking streets and parks and buildings are all really gorgeous but you probably came here for the beach — who knew living in Ukraine meant weekend trips for some sun and sand? First off, you'll find most of the best spots all along the edge of Odessa, in the Black Sea. Odessa has many different beaches, but you have to check out Villa Otrada Beach. The areas surrounding this beach are full of restaurants and shops, so you don't have to go far to get food or buy a few souvenirs. The areas around the beach are also full of beautiful parks and make for a great afternoon stroll. Arcadia is also very popular, with tons of fun shopping and really good food right by the beach. In the summer, a little carnival sometimes sets up right here meaning you can ride a few rides once you've had your swim. Volunteers also love Lanzheron; it's closest to the city center and doesn't quite have the same vibe as Arcadia, but they say it has nicer sand. If you teach English in Kiev with ILP (lucky lucky!) you have it easy — you can easily take a sleeper train from Kiev into Odessa. It takes about 7 hours and costs around $15. You can also take a bus there, which takes around 6 hours and costs about the same. Around Odessa, it's very easy to get around thanks to all of the trams. They are very inexpensive to ride (less than a dollar, usually around $0.30 or so) but can get very crowded. There are also taxis aplenty but will be more expensive; are some tips for travelers when it comes to avoiding taxi scams. 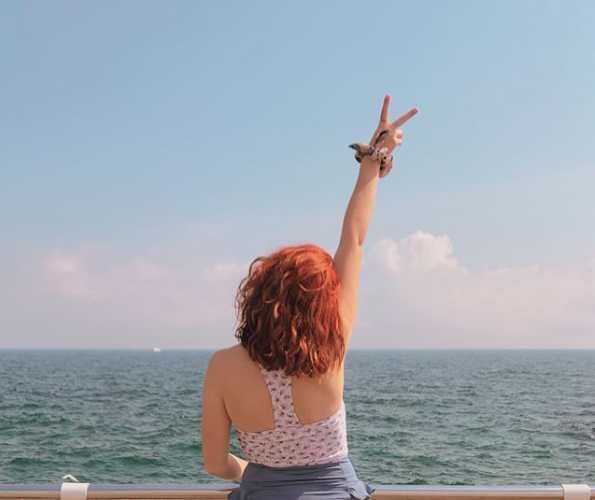 Vacationing like a local by visiting Odessa and the Black Sea is a trip you won't regret ... same with a semester abroad in Ukraine. 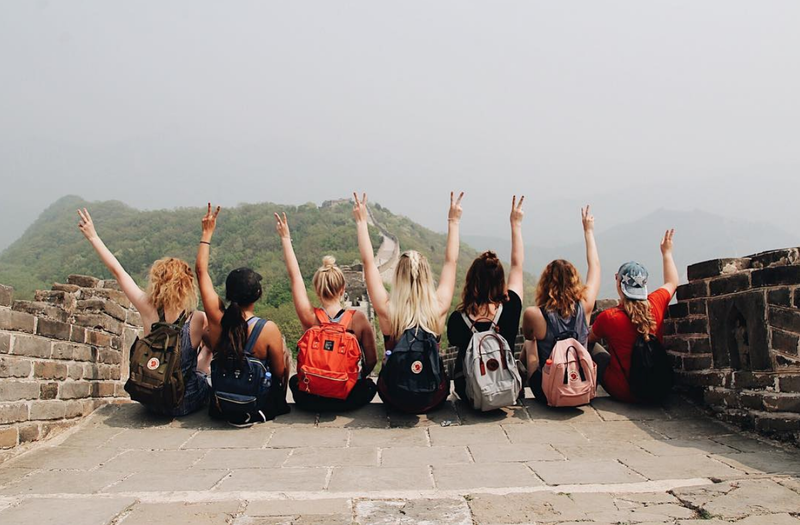 International Language Programs lets you do just that! 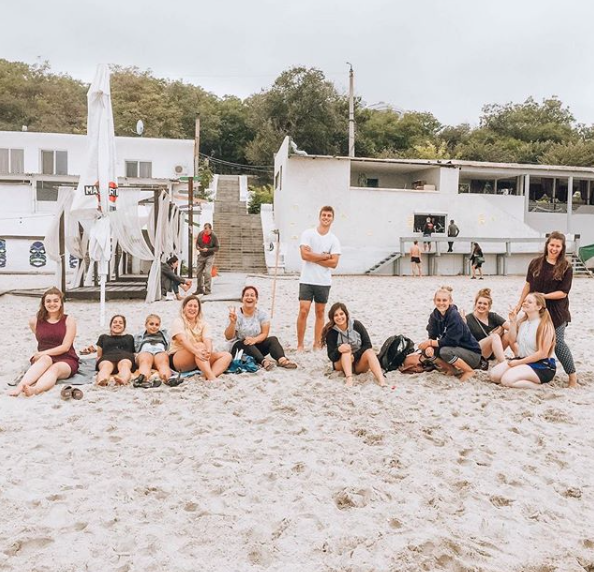 Come spend a semester in Europe teaching English, volunteering with an ILP group, traveling in Europe and taking weekend trips to Odessa and other favorite cities, like Lviv or the chance to visit Chernobyl, or one of the Seven Wonders of Ukraine.